I’m busy working away on crochet patterns (and a few commission projects!) and developing the pattern store here at Chelle-Chelle.com. As busy as I may make myself be, sometimes even I like to take a little break. 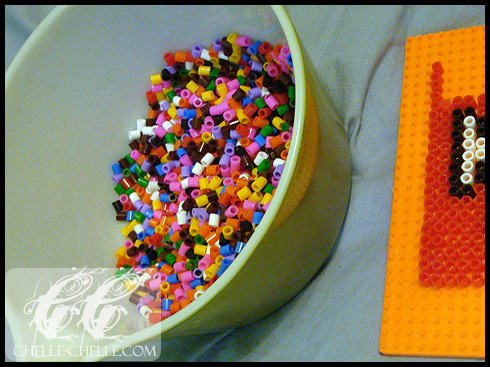 I ‘rediscovered’ a love for fused beads very recently (it was a combination of browsing awesome craft forums, impulsively buying the peg boards and then finding a huge tub of fusible beads at the thrift store that did it for me). So that’s what I’ve been working on while also proofing crochet patterns and photographing projects. Things will get released, in their due time, and I have a lot of exciting and fun things to show all of you (things I’ve been working on, patterns that I’m perfecting). But it is nice to just do something relaxing from time to time, like putting beads on a board. I didn’t have much time during the school term to work on many projects (but I did take photos of everything, so I will show you everything as time goes by). Here are two pairs of earrings that I made when spring was just beginning back in March. I just wanted to make something light and fun to wear that wasn’t going to take too long to make (and these are quick projects!) and would add a little colour to whatever it is that I wear. 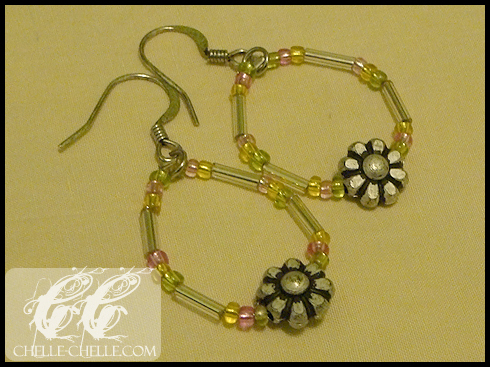 The first pair uses a mix of seed and bugle beads with flower charms and chemically antiqued earring hooks. They are approximately 2.5 cm (~1″) in diameter. 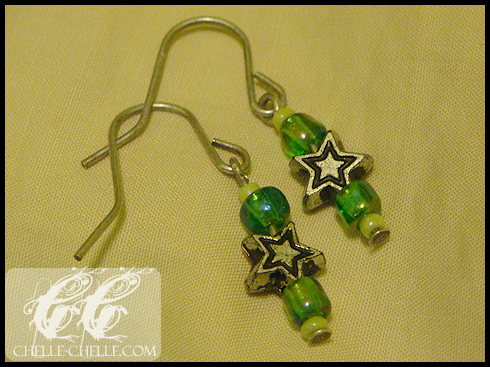 This second pair uses beads that I’ve shown on the site before, even with the same star charms. I paired them up with very simple stainless steel earring hooks and headpins.